Prophet Isha V. Odom is a native of Norfolk, Virginia. Prophet Odom accepted Christ under the ministry of Apostle Bernell J. Gatlin, Gift of Life Church in Virginia Beach, Virginia. In 2001, she began ministering the Gospel, and in 2003, she co-founded Agape Christian Worship Center in Albany, Georgia with her husband Apostle Michael D. Odom, Jr. 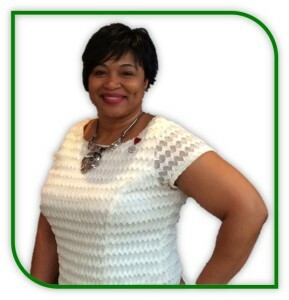 Currently, Prophet Odom serves as Senior Leader for the local church, and founder of Isha Odom Ministries, INC.
Understanding her Godly assignment, Prophet Odom emphatically enforces the unadulterated Word of God through her preaching and teaching in various settings: conferences, churches, seminars, and workshops. Prophet Odom’s deep-seated passion is that the body of Christ will experience transformation, reformation, and impartation. Prophet Odom is highly gifted and dynamic in facilitating Intercessory Prayer, training Prophetic Teams, Church Management, Leadership Development, and much more. The soundness of her ministry and earnest desire to equip people has crossed denominational and cultural barriers, generating a demand in the United States and Africa. Beyond the pulpit, Isha is an entrepreneur, investor, and licensed Realtor. She is the co-owner of Agape Moving and Cleaning Services and M.I. Properties Investment Group. Isha is also is a certified John C. Maxwell Coach, Teacher, Trainer, and Speaker, and is licensed to teach several of John C. Maxwell’s curricula. Isha was educated in Virginia Beach City Public Schools. She earned a Bachelor of Theology from Sacramento Theological Seminary School in 1999, a Bachelor of Arts in Management from the University of Maryland University College in 2005, and Master of Art in Public Administration from University of Phoenix in July 2015. Prophet Odom’s ministry credentials include: Licensed Minister, Agape Fellowship Ministry International (2001), Agape Divinity School of Practical Ministry, Okinawa-Japan (2001), School of Evangelism, Mercy Street Ministries (2002), Ordained Elder, Gift of Life Conference of Churches (2005), Certificate in School of Deliverance, Warfare Academy (2007), Prophet Odom was affirmed to the office of Prophet (2008) by an Apostolic Counsel under the leadership of Apostle B. J. Gatlin, Gift of Life Conference of Churches in Virginia Beach, Virginia. Isha Odom is married to Michael D. Odom, Jr. Together they parent five adult children, and have been blessed with three grandsons and two granddaughters. Isha and her husband Michael reside in Leesburg, Georgia.